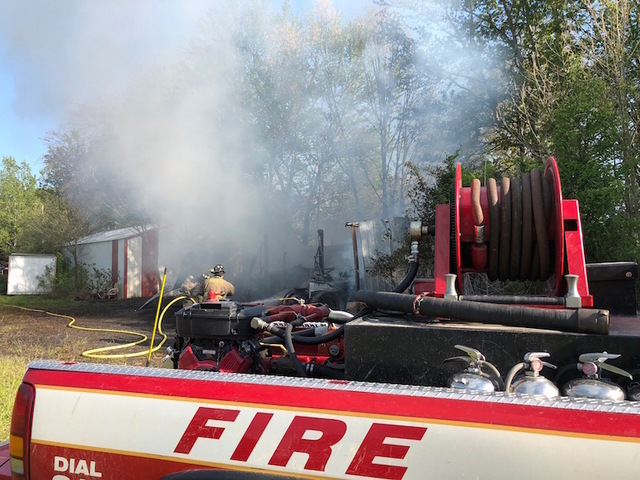 The Adair County Fire Department responded to an outbuilding fire at 4:44pmCT, Tuesday afternoon at 77 Wheet Road, in Eastern Adair County. Upon arrival, the property was completely engulfed in fire. Property owner was Brenda Popplewell. The fire is believed to have started from a trash fire that got out of control. There were 11 firemen on the scene for around one hour. 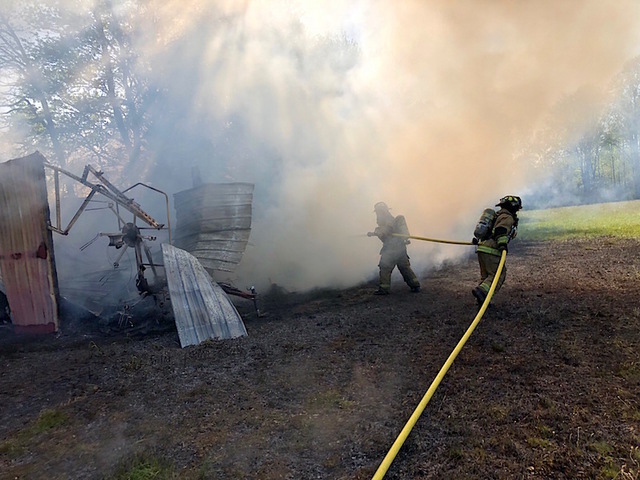 2018-05-02 - Wheet Road, Columbia, KY - Photo by Donald Hare, Public Information Officer, Adair County Fire Department, Columbia, KY.